A known gang member who was arrested last month for allegedly stabbing to death a transgender girl in Mississippi appeared in court today for a preliminary hearing in the murder case. Joshua Vallum, 28, (left) was arrested on June 2, the day police recovered the body of 17-year-old transgender teen Mercedes Williamson (right) buried in his father's backyard. 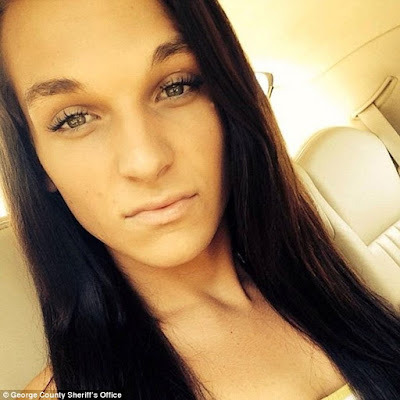 The murder case in a rural Mississippi town gained national attention last month, when Caitlyn Jenner mentioned Williamson as just one of the many transgender teens murdered in the U.S. this year. 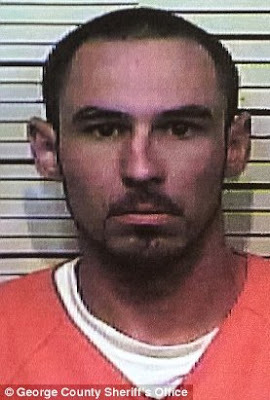 Prosecutors say Vallum admitted to his father on June 1 that he killed someone and hid their body in the wooded area behind the house. Vallum allegedly told police that the remains belonged to Williamson, and his admission was confirmed with a DNA analysis. Since then, the member of the Latin Kings gang has been held on $1million bail for first-degree murder charges. While the motivation behind the attack is still not known, police have said that they are looking into whether Williamson's status as a transgender woman may have played a role in her cruel end. If that's the case, Vallum could face not only murder charges, but federal hate crime charges. At the time of her death, Williamson had apparently become estranged with her family and had moved to nearby Theodore, Alabama, where she was sleeping on the couch of 41-year-old friend Jeanie Miller's trailer since September. Miller says the last time she saw Williamson was on May 30, around 2pm, when the teen left to go spend some time at 'the bay' with a friend. Miller remembers seeing Williamson get into an unknown silver vehicle and then driving off. When Williamson didn't return to the trailer for several days, Miller called the friend who she thought had picked Williamson up and the girl told her that the teen was dead. While police have not yet revealed how Williamson died, remarks on a Facebook tribute page to the teen say stab wounds were found on her body. Williamson, who was born male and named Michael Wilkins by her parents, was an aspiring cosmetologist who friends say also enjoyed spending time outdoors. Miller said she regarded Williamson 'like a daughter'. 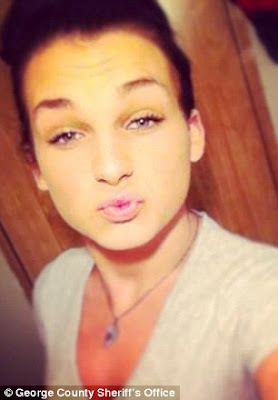 She became the ninth known transgender woman killed in the U.S. for 2015, according to data from the National Coalition of Anti-Violence Programs. Caitlyn Jenner referenced Williamson's death while accepting the Arthur Ashe courage award at this year's ESPYs. 'All across this country, right now, all across the world, at this very moment, there are young people coming to terms with being transgender. They’re learning that they’re different and they are trying to figure out how to handle that, on top of every other problem that a teenager has. 'They’re getting bullied, they’re getting beaten up, they’re getting murdered and they’re committing suicide. The numbers that you just heard before are staggering, but they are the reality of what it is like to be trans today.